Wilkins recorded 336 yards and a touchdown on 60 rushing attempts and added 85 receiving yards on 16 catches while playing in 16 games in 2018. Analysis: Wilkins joined the Colts as a fifth-round pick in 2018 and showed some promise to start the year. His workload declined in the second half, leading to his modest stats. He ended the season as the No. 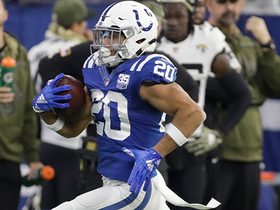 3 running back behind Marlon Mack and Nyheim Hines, and he'll need to work his way up the depth chart in 2019 in order to have much fantasy value. Wilkins (knee/ankle) was a full practice participant Wednesday, Andrew Walker of the Colts' official site reports. Analysis: Dealing with a pair of minor issues, Wilkins should be fine to fill his usual role as the No. 3 running back for Saturday's wild-card game in Houston. He's unlikely to see more than a handful of snaps unless Marlon Mack or Nyheim Hines suffers an injury during the contest. Wilkins (knee/ankle) is listed as a limited participant on Tuesday's estimated injury report. Analysis: With Marlon Mack and Nyheim Hines healthy, Wilkins won't have much of a role in the game plan for Saturday's playoff battle against Houston. The rookie fifth-round pick played 18 or fewer snaps on offense in each contest after Week 4. Wilkins didn't have any carries or targets in Sunday's win over the Giants. Analysis: Wilkins has seen his role drop off over the last half of the season. Sunday marked the third time this season he hasn't carried the ball or been targeted in the passing game. 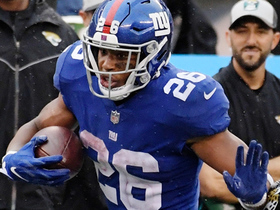 Barring injuries to Marlon Mack and Nyheim Hines, it seems unlikely that Wilkins will have much fantasy value, if any, in Week 17 against the Titans. Wilkins caught his lone target for six yards in Sunday's win over Dallas. Analysis: The Colts ran the ball 39 times in Sunday's grind-it-out win against the Cowboys, but Wilkins saw only two offensive snaps. Marlon Mack continues to dominate the carry count with Nyheim Hines still serving in a secondary role, leaving little playing time for Wilkins while both remain healthy. Wilkins had one reception for no yards and no carries in Sunday's loss at Jacksonville. He played five snaps on offense. Analysis: Wilkins has had a very limited reserve role the past five games. He'd need an injury to Marlon Mack or Nyheim Hines to get significant carries over the final four regular-season games. 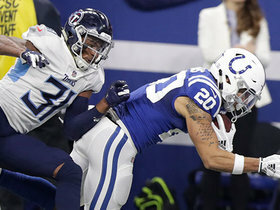 Wilkins was on the field for eight of the Colts' 69 offensive snaps in Sunday's 27-24 win over the Dolphins and finished with three receptions for 32 yards. He lost a fumble following one of the receptions. Wilkins had four carries for 30 yards, including an 18-yard touchdown, in Sunday's win over Tennessee. Analysis: Wilkins played just 11 snaps on offense compared to 38 for starter Marlon Mack and 16 for Nyheim Hines. Wilkins is still the clear No. 3 back, but could get more of a look with Hines fumbling on a carry (which the Colts recovered) and dropping a pass. Wilkins had one carry for 53 yards in Sunday's win over the Jaguars. He played just five snaps on offense. Analysis: His 53-yard gain was Indy's longest rushing play of the season. However, he otherwise didn't have much of a role in the offense as he's a distant third-string option after Marlon Mack (33 snaps) and Nyheim Hines (20 snaps). Indianapolis Colts quarterback Andrew Luck tosses a short pass to running back Jordan Wilkins. After the catch Miami Dolphins linebacker Raekwon McMillan hits the ball out and safety T.J. McDonald hops on the fumble recovery for Miami. 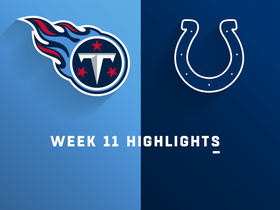 Watch the highlights from the Week 11 matchup between the Tennessee Titans and the Indianapolis Colts. 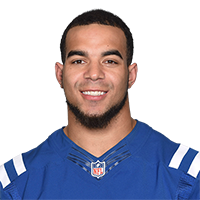 Indianapolis Colts running back Jordan Wilkins receives the pitch and rushes for a 18-yard touchdown. 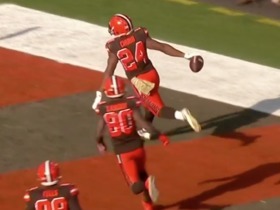 Nick Chubb recorded the Browns longest run in franchise history. That and more are among the best runs around the NFL in Week 10. 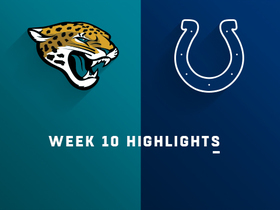 Watch highlights from the Jacksonville Jaguars vs. Indianapolis Colts game where the Colts defeated the Jaguars at home for Week 10. Indianapolis Colts rookie running back Jordan Wilkins darts down the sideline for a 53-yard gain. Take a look at the top runs around the NFL in Week 7 action. 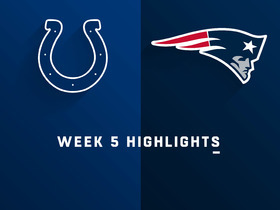 The New England Patriots improved to 3-2 with a 38-24 win against the Indianapolis Colts on Thursday Night Football. 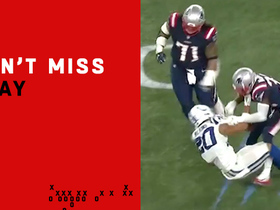 Indianapolis Colts running back Jordan Wilkins fumbles the ball after New England Patriots defensive back Devin McCourty rips the ball from his hands. Check out the top rookie plays from Week 1 of NFL action.